The small but lovely suburb of Durban North offers visitors a beautiful city setting, stunning ocean views, a friendly vibe and some interesting spots worth exploring too! But it’s the food that really charms in Durban North, as the area is blessed with some excellent eateries. 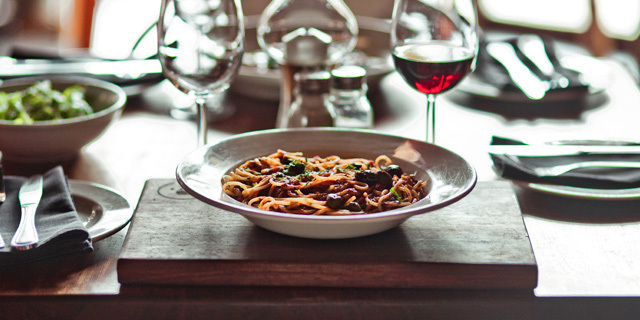 This cosy, inviting neighbourhood Osteria is the place to go for delicious, affordable meals with friends and family, special date nights made of pasta and wine or even simply for a great lunch in between office hours. And while Lupa Osteria branches are spread across KZN – and now in Cape Town too – this is a particularly special Lupa offering. And of course, there’s the food, think: homemade pasta, wood-fired pizza, organic, free range chicken, fresh fish and shellfish and even incredible veal too… What don’t they offer? Note: The restaurant also has a good bar, in addition to its other facilities, making it perfect for after-work drinks or a chilled cocktail to close the day. Address: Lupa Osteria, 6-12 Swapo Road, Durban North, Durban, KwaZulu-Natal. 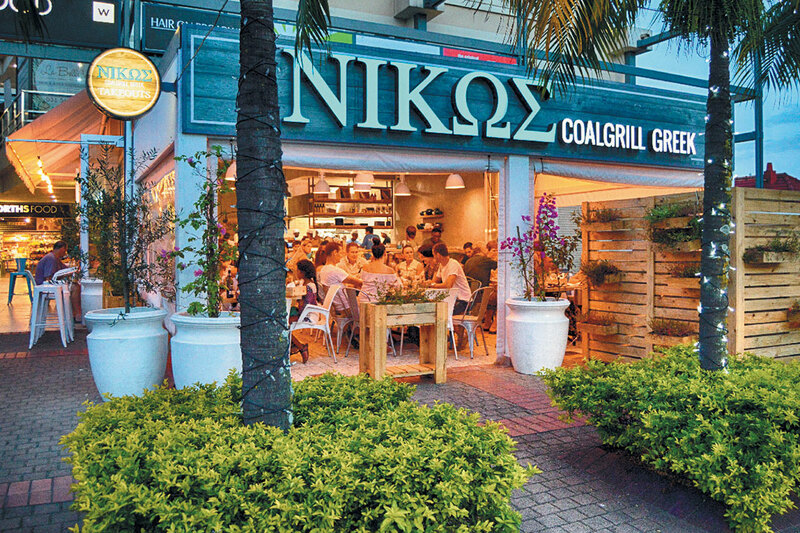 Nikos is the place where contemporary dining and traditional greek cuisine meets coal-grilled perfection… and it does so famously well! With branches in Fourways, Johannesburg, Durban North, Sandton, Ballito and beyond – this excellent chain restaurant is a safe bet wherever in SA you enjoy it. And best of all? The Durban North branch is a real stunner! At Nikos Coalgrill Greek, not only does the food look incredible… it tastes as good as it plates! What’s more, the fun, relaxed Mediterranean feel adds a uniquely soothing restaurant experience and cements you as a new regular. Address: Nikos Coalgrill Greek, 54 Adelaide Tambo Drive, Durban North, Durban, KwaZulu-Natal. Another great chain restaurant, Atasca is known for its good food, reliable service and homely restaurant feel. Here visitors can expect to find an array of Portuguese delicacies, like trinchado, prego rolls and so much more. All of which will leave your mouthwatering in eager anticipation – and your tummy suitably satisfied afterwards. It’s hard to go wrong with Atasca Durban North! Address: Atasca, 1 Kensington Centre, Adelaide Tambo Drive (old Kensington Drive), Durban North, Durban, KwaZulu-Natal. While Connor’s Public House is classified more as a pub than a restaurant according to traditional eatery standards – it just so happens to be one of the most popular and well-loved spots in Durban North. In fact, they themselves place great emphasis on offering quality pub grub! At this vibrant Irish pub, you can expect to encounter some of the best pub grub in all of Durban, a homely, welcoming environment, live music performances, good drinks and live televised sport to boot. Connor’s Public House is, in essence, your quintessential locale – and a mighty fine one at that! Address: Connor’s Public House, 11-13 Mackeurtan Avenue, Durban North, Durban, KwaZulu-Natal. South Africa offers many unique eateries – but perhaps none so unique as a passionately run burrito bar like Four15! At this popular eatery, visitors can look forward to wholesome, fresh Mexican food, an unfussy restaurant setting and a whole bunch of fun in this expressive burrito bar space. They also offer plenty of great specials, like Taco Tuesdays and Half-Price Burrito Mondays, but perhaps one of their best is the child-friendly Sunday special, which sees kids eating for free! Pay this snazzy, colourful burrito bar a visit – your tastebuds will thank you! Address: Four15, 41 Mackeurtan Avenue, Durban North, Durban, KwaZulu-Natal. Specialising in tapas and tequila, El Toro is sure to charm all its visitors in at least one big way. At this glorious Mexican cantina, you can tuck into gourmet paellas, parillas, botanas, tapas and so much more! Plus, the food is spicy and hot, so if you’re a fan of nippy food, this is definitely the place for you. 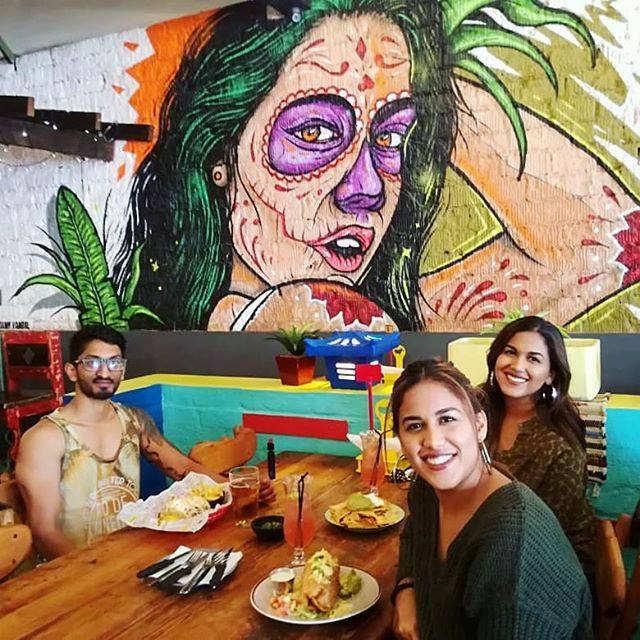 The atmosphere that prevails at this restaurant is one of fun, vibrancy and plenty of colour, making it an engaging eat out experience for one and all! Note: El Toro is also able to assist you with special functions, covering everything from decor to catering as you require. Address: El Toro, 5 – 7 Mackeurtan Avenue, Durban North, Durban, KwaZulu-Natal. This tranquil Asian restaurant hints of fresh authentic Thai cuisine, including everything from duck samoosas to Thai tapas, a calming atmosphere, filled with beautiful decor and an all-round splendid dining experience. Owners Nina and Kit hail from Thailand originally but have over 12 years’ worth of restaurant experience in South Africa… And now in Kung Thai Restaurant, chef Nina has the freedom to create and showcase the flavours, food and masterful dishes from home. 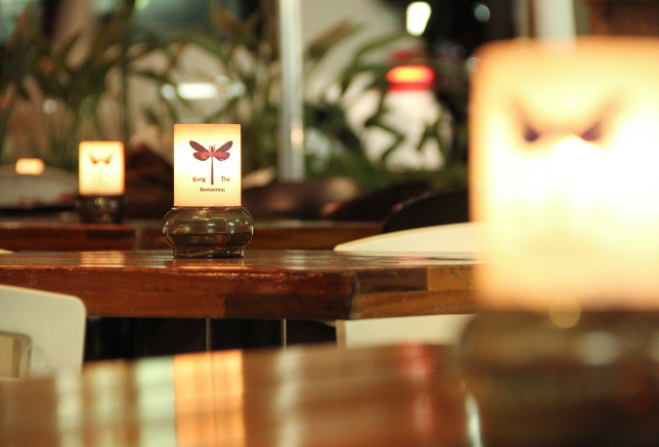 Join Kung Thai Restaurant for a memorable meal on all fronts. Address: Kung Thai Restaurant, 59 Adelaide Tambo Drive, (old Kensington Drive) Durban North, Durban, KwaZulu-Natal. This lovely, snug cafe offers fresh, good food, warm and welcoming service from its staff, excellent coffee and above all else, passion and quality service to keep guests patiently queuing at the door. The cafe, which is handily also child-friendly, offers a range of delicious breakfasts, coffee and milkshakes, vegetarian options and so much more. Online reviews are unanimous in their praise, hailing Mayfair Cafe as the place to go for consistently great service, food and drinks. Address: Mayfair Cafe, Woolworths Centre, Mackeurtan Avenue, Durban North, Durban, KwaZulu-Natal. Established in 2010 (and previously open in Sunningdale), this popular eatery has been regularly wowing guests with its authentic Indian dining experiences, incredible North and South Indian and Indo Chinese dishes and overall good service. The flavourful dishes are generous, scrumptious and above all, affordable and there is something for everyone to love! To put it simply: Indian Summer is sure to provide you with unique cuisine, complete with a modern twist. Note: Indian Summer caters to sit down or takeaway and can also assist with outside catering, if needed. Address: Indian Summer, 35 Newport Avenue, Durban North, Durban, KwaZulu-Natal. Offering Mediterranean delights from breakfast till suppertime, Andrea’s is a special find. Here, they believe in using only the freshest ingredients and products and, where necessary, imported Italian goods. Tradition is a staple too, in the food as much as in the caffe’s culture and ambiance – and it really goes to show. Pop by for a tasty and special meal with those closest to you. Note: Andrea’s also does home orders and deliveries and can assist with venue hire for special occasions, work functions, birthdays and more. Address: Andrea’s Caffe Italia, Park Boulevard Centre, Browndrifts Road, Riverside, Durban North, Durban, KwaZulu-Natal. These are just some of the top restaurants (and cafes) you can enjoy sinking you teeth into, one meal at a time in Durban North… Which will you visit first?